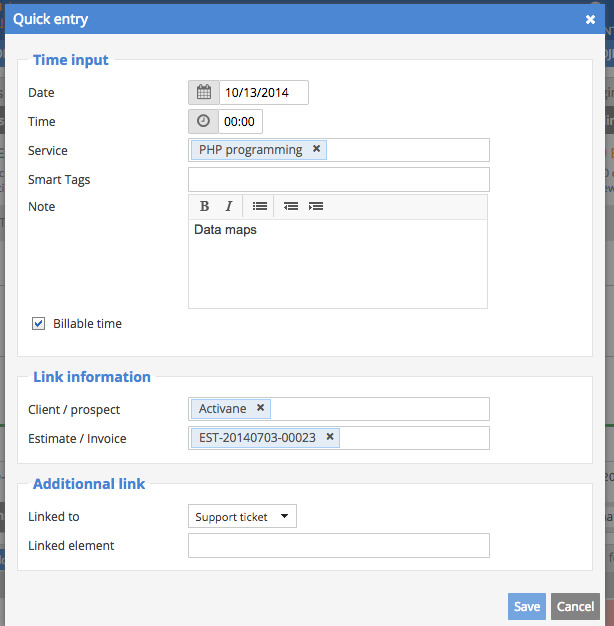 This type of entry allows you to enter time tracking very quickly. To do this, click the Time tracking menu and then click Quick entry. Enter all the information concerning your entry: time spent, the customer concerned, etc. Important: the note field lets you enter a comment on the time spent. This field can then be displayed on the invoices you use the Time Rebilling module.